Here is an Edwardian silk wedding dress, from 1912 in Aberdeen Scotland. 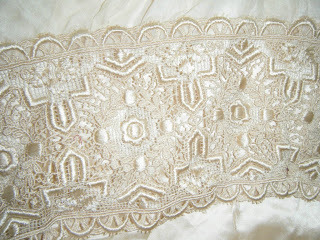 It is small - I am happy to measure if you need specific dimensions. 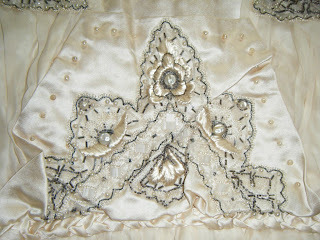 The dress is made of various types of silk, chiffon over satin, and trimmed with lace, embroidery, and artificial pearls. 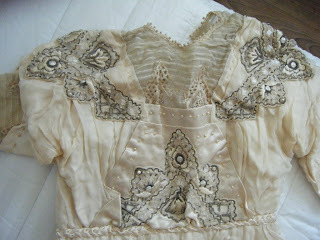 The color is now a warm, deep, almost "tea-dyed" cream color. The actual fabric of the dress is silk chiffon and satin, but it is rotting due to age, so the fabric is torn in many places and the dress is too delicate and old to wear. 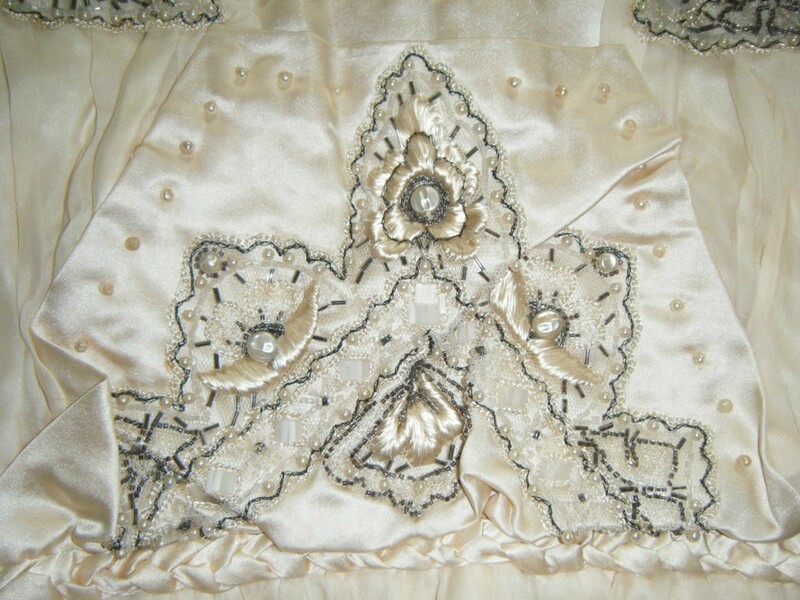 Maybe you'd want it for the lace, which embellishes the bodice and is carried around the lower part of the dress. 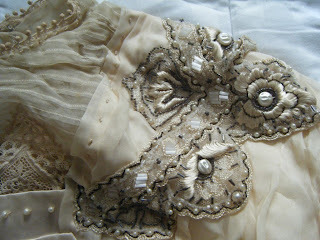 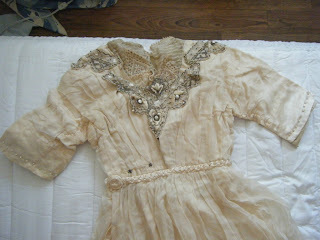 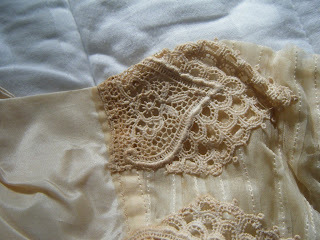 I have taken photos to show the type and quality of the lace, and the fine stitchery in the bodice. 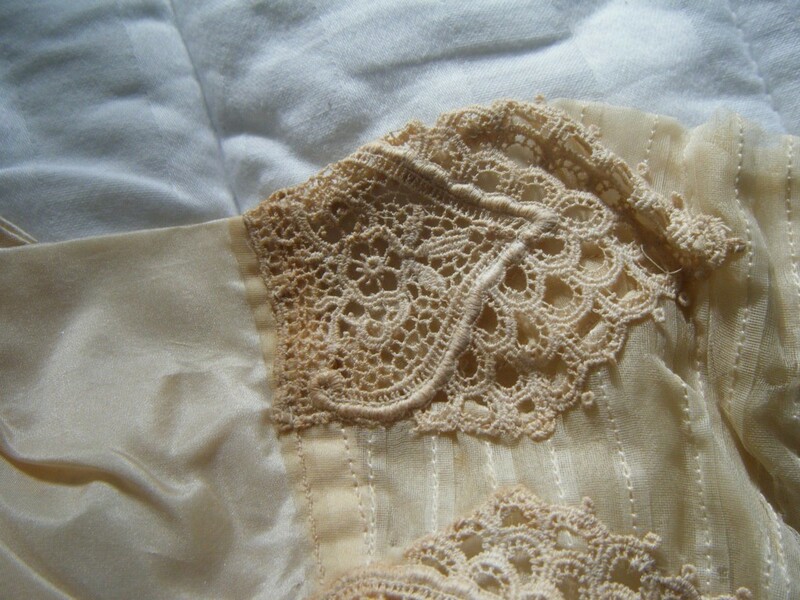 I also have the veil which was tulle with artificial orange blossom. 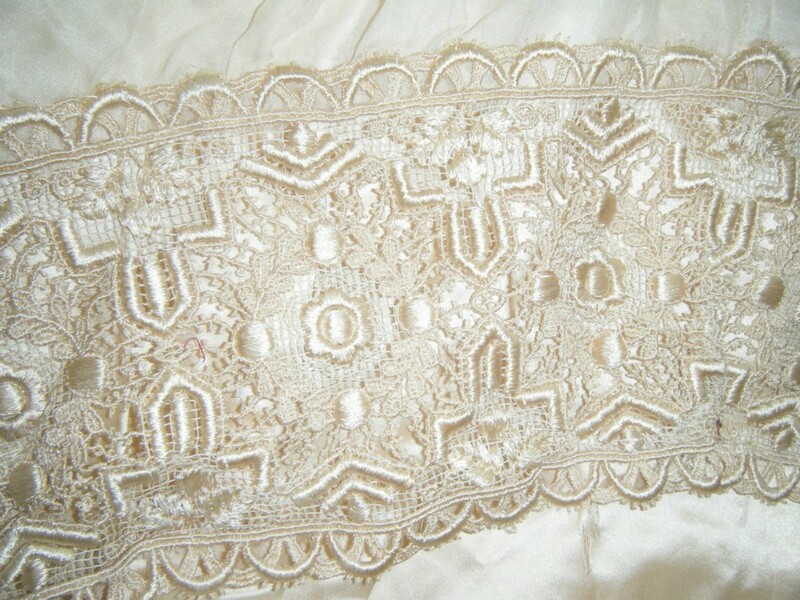 1/11 - I added a few pics to show the lace better, and to show typical examples of the damage that time has done to the delicate fabrics of the dress. 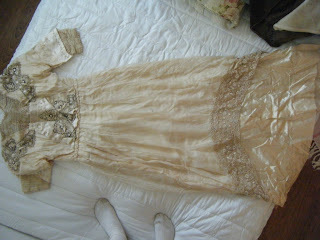 I'm not sure about this being a wedding dress - it looks a bit simple for that- however it is from around 1912. Fabulous!